The home where British rocker Tommy Steele grew up. 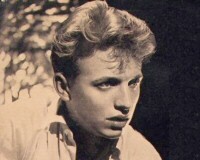 Description: Legendary, singer, actor and stage show performer, Tommy Steele OBE was born Thomas Hicks on December 17 1936 in Bermondsey. He served with the merchant navy but left to form a Skiffle group called The Cavemen with Lionel Bart (who later wrote the stage show hit Oliver!) and Mike Pratt (who was best known for his role as Randall in Randall and Hopkirk). He was discovered at the now famous 2 Is coffee bar in Soho, and soon made his name as one of Englands first rock and roll stars. Hits included Rock with the Caveman and Singing the Blues, which topped the charts in 1956 as well as the still-loved Little White Bull. By the 1960s Steeles career took a more theatrical turn with lead roles in musicals such as Half a Sixpence (1963) and Finians Rainbow (1968). His role in Hans Andersen won him The Hans Andersen Award from the Danish Government in 1993. His contribution to entertainment was recognised with an OBE and, in 1980 The Variety Club of Great Britain named him Entertainer of the Year. He published his novel The Final Run, exhibited one of his paintings at the Royal Academy and was commissioned by Liverpool Council to design a statue of Eleanor Rigby in tribute to The Beatles. The plaque was unveiled here at Nickleby House on the Dickens Estate, marking the place where Tommy lived between 1937 and 1944. Speaking at the event, Tommy Steele said: 'It's a wonderful honour. The Queen gave me other things but Bermondsey gave me this and that's something that I'll always treasure. 'I love the idea that the local people do the voting and you dont leave it to some committee to do it for the country.